CT Dual-Head Injector-Shenzhen Antmed Co.,Ltd. Allows independent of filling and air expelling of Side A and Side B respectively. Allows independent injections of Side A and Side B respectively. 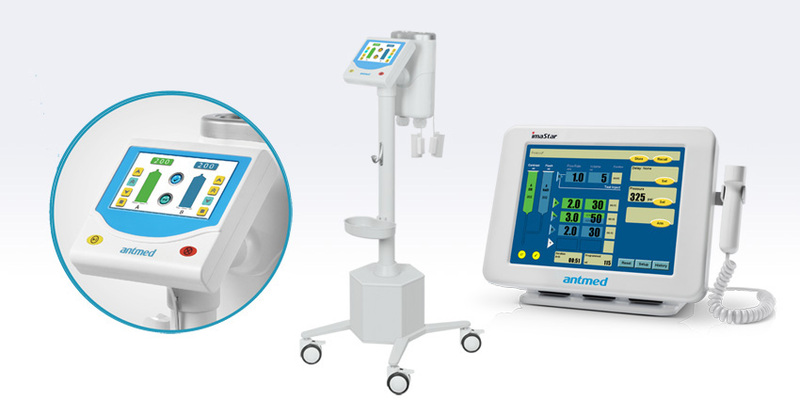 The dual motor drive system allows simultaneous injection of contrast and saline. Allows the control of contrast density in the right and left ventricles. Able to observe the right coronary arteries, right atrium and right ventricle in a single study in the same image.